I met up with a new friend at Joyeaux Cafe recently since it was the mid-point between our offices. They had good reviews so I had high expectations for them. Sadly they weren’t met, especially after my great experience at Red Pagoda. This entry was posted in Asian, Food Reviews, Vietnamese and tagged banh mi, lemongrass chicken. My colleagues and I all headed over to Red Pagoda for a Friday lunch recently. Located in the Coal Harbour area, it’s slightly hidden away behind a building on Thurlow and Pender. However, it’s popular with the office lunch crowd. 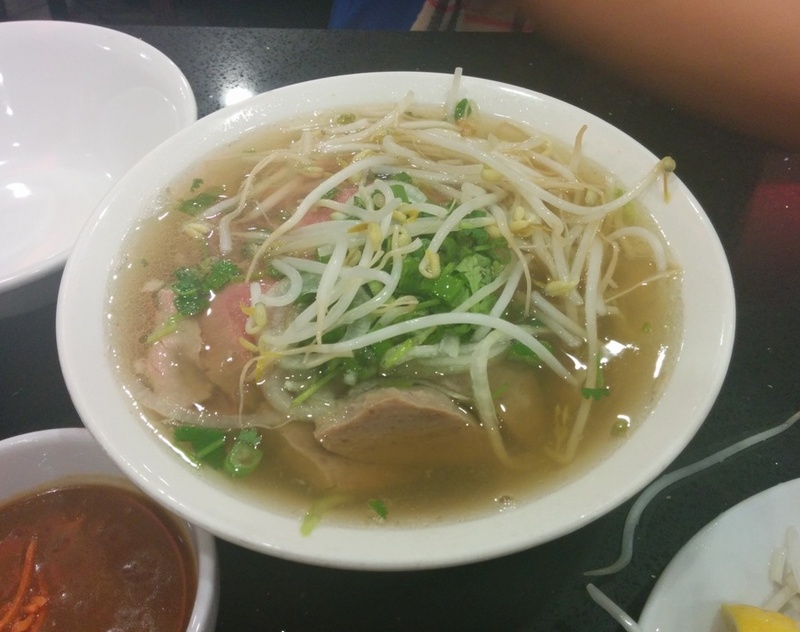 This entry was posted in Asian, Food Reviews, Vietnamese and tagged lemongrass chicken, pho.